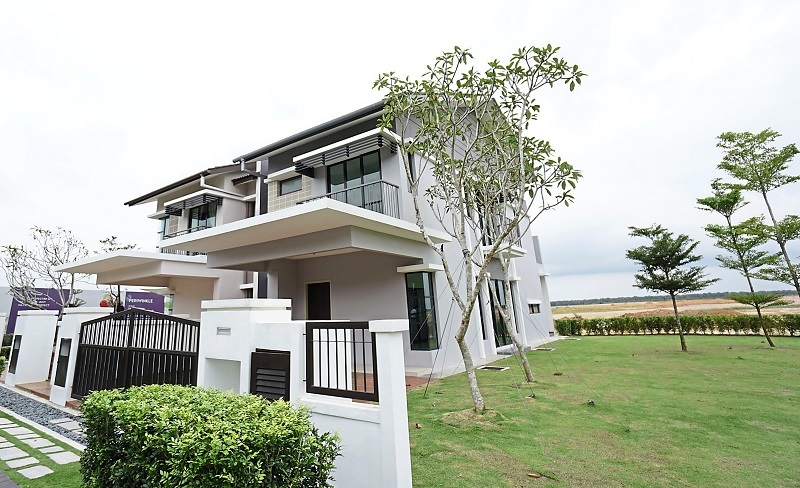 ARE you looking for a cozy family garden home, set amidst a tropical backdrop within the Klang Valley? Look no further as Bandar Rimbayu is offering just that! Bandar Rimbayu holds a Gross Development Value (GDV) of RM11bil and is currently focusing on the launch of its third installment dubbed Periwinkle. This phase is unique as it features double-storey linked semi-detached homes, a first-of-its-kind for the massive township.Periwinkle is tucked away within the Flora Precinct of Bandar Rimbayu and will consist of 464 units of 32ft by 70ft sized linked semi-detached homes, as well as three units of single-storey bungalows. The low-density enclave is presented in a manner where all homes are strategically aligned in a linear-styled arrangement, along gardens and walkways, enjoying linkage to a periphery green cushion, as well as localised spaces for recreational use. Adding to that, up to 47 percent of the land within this residential enclave has been allocated for infrastructure and landscape. All homes in this phase are equipped with high specifications, such as solar powered water-heating systems that are connected to all shower areas in all bathrooms of each home. The homes also use rainwater harvesting systems for outdoor use, three phase wiring, air-conditioning points, with concealed piping, 2ft by 2ft porcelain tiles for living and dining areas, ceramic tiles installed up to ceiling height in bathrooms and the availability of several electrical points. Adding to that, high speed broadband is ready for connection within each home for buyer use. Each linked semi-detached home offered in Periwinkle comes with four bedrooms with attached bathrooms. The homes within Periwinkle come in sizes that range between 2,117 sq ft and 2,267 sq ft, and are presented in a unique concept of open side verandahs that are contiguous to the dining area. This design expands spaciousness and provides a modern appearance to each home.